December 16, 2016 – In 1900, astronomer Joseph Lunt made a discovery. 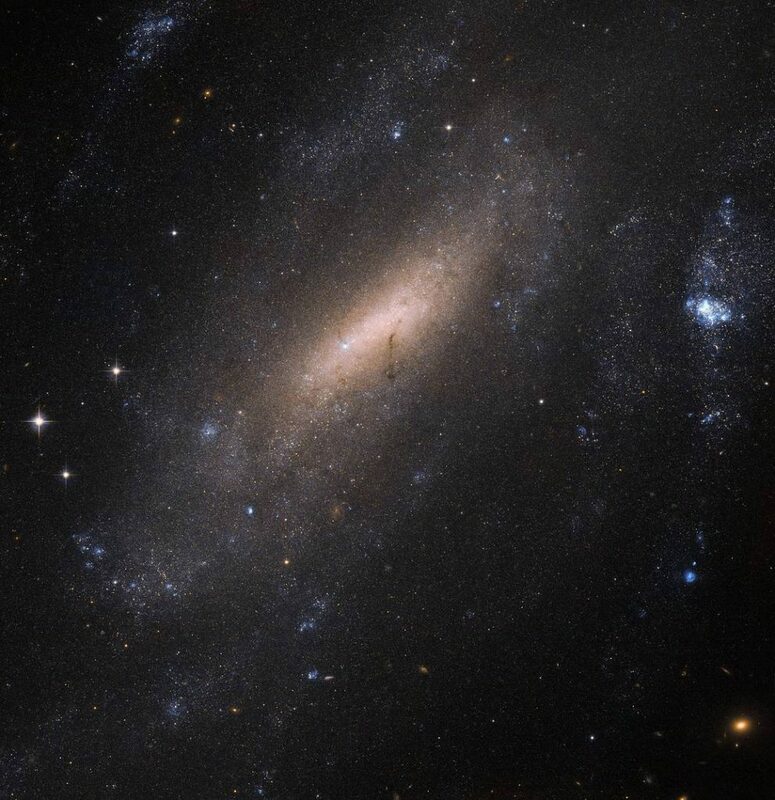 Peering through a telescope at Cape Town Observatory, the British–South African scientist spotted this beautiful sight in the southern constellation of Grus (The Crane): a barred spiral galaxy now named IC 5201. Over a century later, the galaxy is still of interest to astronomers. For this image, the NASA/ESA Hubble Space Telescope used its Advanced Camera for Surveys (ACS) to produce a beautiful and intricate image of the galaxy. Hubble’s ACS can resolve individual stars within other galaxies, making it an invaluable tool to explore how various populations of stars sprang to life, evolved, and died throughout the cosmos.